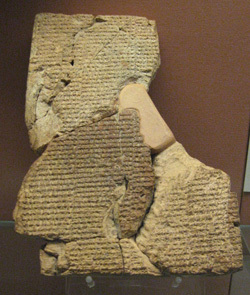 Genesis 1 depicts the reality of which the Ancient Near Eastern cosmogonies, such as the Epic of Atrahasis (pictured), are corruptions. Not an Enquiry, just an observation that so much effort to refute the atheists seems to me to be a bit unnecessary. Dawkins and others of his ilk really speak for a very small sector of society and pose no real threat to faith in our society. Perhaps you should not dignify him with acknowledgement that he is in town. Actually, atheism is rapidly on the rise, all around the world. I agree that the bulk of people are apathetic about all manner of issues, but that is not a worry for those of Dawkins’ ilk. They don’t really care about ‘faith’ in the vague sense, but a strong commitment to the infinite-personal God of Abraham stirs up all manner of emotion. And Dawkins’ books aim to convince people that the Bible is not trustworthy. On another matter, I just want to comment that your assertion in the section “What we believe” that the biblical evidence suggests a young age for the rise of man on earth is only applicable when one reads the text literally and with an Ancient Near East cosmology. That is a common mantra, but doesn’t fly if one is honest with the literary evidence and applies the normal historical-grammatical rules of exegesis. If in fact Genesis is metaphor, then Jesus Christ Himself, in addition to the OT writers, was misled. 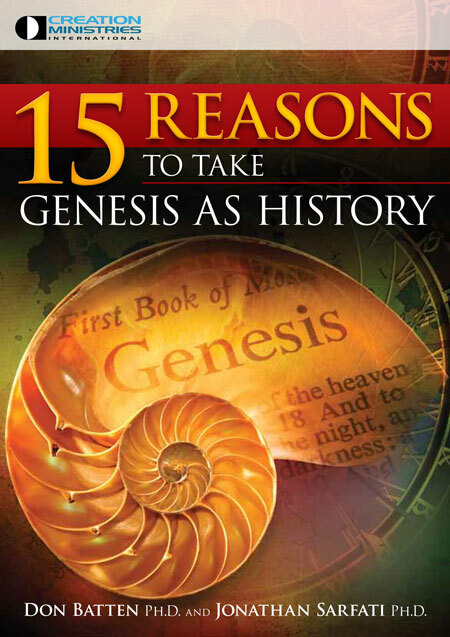 The little booklet 15 Reasons to Take Genesis as History is an important read in this, and can be digested in one sitting. However, I have found that most people who repeat that sort of mantra are not interested in the facts of biblical exegesis, and take comfort in the fact that this mechanism of evading logical consistency, etc. is shared by so many who also want to keep hold of some vague ‘faith’ while not opposing the ‘scientific consensus’. So much of the Biblical material is written as metaphor and is intended to convey theological truths rather than scientific truths. If something is recorded as having happened, then it either did or it did not. It’s ironic that it’s precisely the methods that enable us to distinguish in most instances between metaphor and historical narrative, for instance, that are the reason why it’s plain that Genesis was intended to convey historical events—events of profound theological significance, without doubt. “Scientific truths” in the above sentence also serves to blur the issue. If something is recorded as having happened, then it either did or it did not. If it did, then that is at once a historical truth, and a scientific truth (though not intended as a scientific treatise, i.e. not exhaustive truth, which the Bible never claims to provide)—and every other kind of truth, for that matter, unless “truth” is given a peculiarly postmodern twist to divorce it from reality. Scientific theory of all kinds is based on an attempt to understand the world of the past in terms of how we see it today. We can’t conclusively recreate the past—indeed look at all the theories that attempt to make sense of the Flood. That’s a fair comment. But that is precisely why we should not be bluffed by secular attempts to reconstruct the past in a framework which consciously excludes, for example, the global Flood (cf. Lyell’s stated purpose to remove Moses from geology via his uniformitarian creed, which totally shifted the paradigm in historical geology in the absence of any facts demanding the shift). These are philosophical issues ultimately. It seems to me to be rather silly to take my scientific head off my shoulders when I read the Bible. I totally agree. 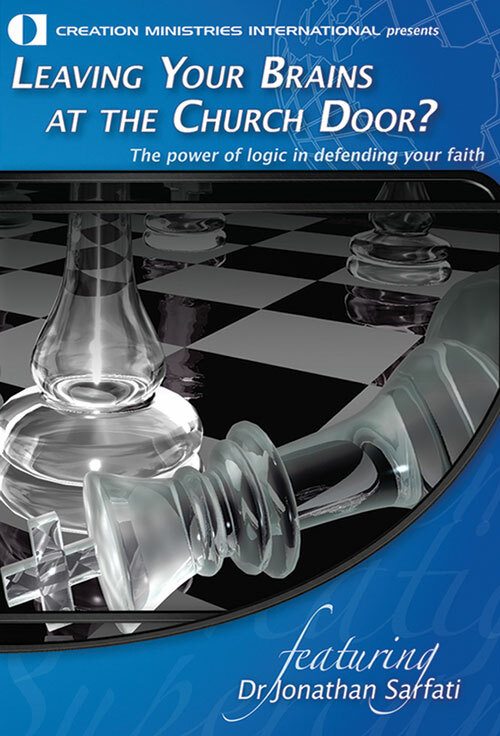 It might be worth your while checking out the DVD by Dr Sarfati “Leaving your brains at the church door? 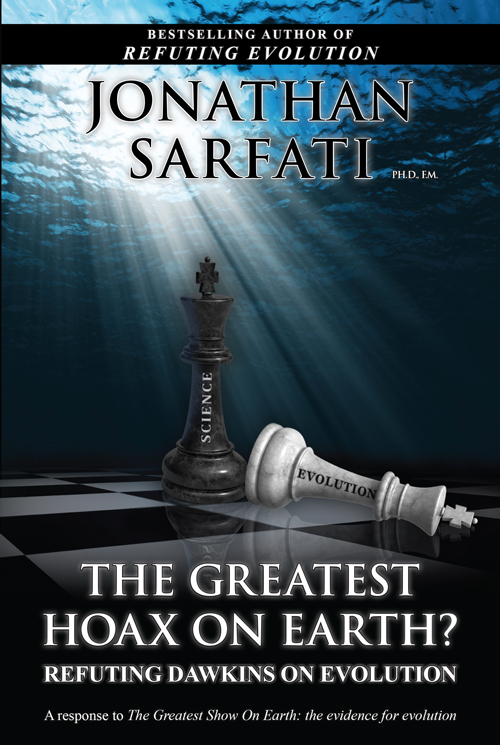 The power of logic in defending your faith” as a precursor to reading his latest book The Greatest Hoax on Earth?, which responds scientifically to Dawkins’ Greatest Show on Earth point by point. Perhaps you might consider these matters. Thank you for the opportunity. I trust you will in turn consider the ones I have raised. S.H. from the UK sent us a link to an article where Dutch professor Ellen van Wolde claimed Genesis 1:1 does not say God created the world. She says the Hebrew word bara, normally translated “create”, should be translated “spatially separate”. Thank you for the web link you sent us. Prof Ellen van Wolde is, I believe, fundamentally in error, and her final statement, “The traditional view of God the Creator is untenable now”, I think, is a heresy. The Christian church has always considered the belief that God created everything from nothing (creatio ex nihilo) to be one of the pillars of the faith, as did orthodox Jews at the time of Christ. According to the apostle Paul, “God’s invisible qualities—his eternal power and divine nature—have been clearly understood from what has been made” (Romans 1:20) and the Bible is clear that God should be worshipped because he created all things (Revelation 4:11). Prof. van Wolde’s error is easily exposed, and one doesn’t need to be a Hebrew scholar to see this. One of the most important principles in interpreting biblical texts is that the consistency and harmony of Scripture must be maintained—if our interpretation of one passage contradicts the plain teaching of another passage we are in error. Van Wolde’s primary mistake appears to be her seeking to harmonize the biblical account of creation with Mesopotamian creation myths, rather than the rest of the Bible. There is a never-ending stream of ‘new discoveries’ supposedly showing that traditional Christian beliefs have been wrong for many centuries. Those who make these claims gain a few minutes of fame, but soon fade from prominence. Yet, in other places in the same passage, where the context clearly indicates separation, such as light from darkness (Genesis 1:4) and waters under and above “the expanse” (Genesis 1:6, 7), another Hebrew word is used—forms of בָּדַל “badal”. If God intended to say that “In the beginning God separated the Heaven and the Earth”, why not use badal? Instead, He used bara, the same word He used, for example, when referring to the creation of man in His own image. There is a never ending stream of ‘new discoveries’ supposedly showing that traditional Christian beliefs have been wrong for many centuries. Those who make these claims gain a few minutes of fame, but soon fade from prominence. The apostle Peter wrote, “All men are like grass and all their glory is like the flowers of the field. 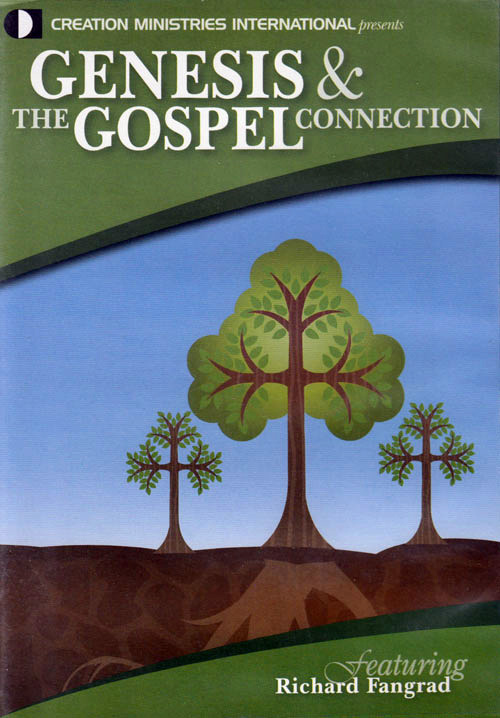 The grass withers and the flowers fall, but the word of the Lord stands for ever” (1 Peter 1:24-25). Does the Bible really teach a three-storey cosmology?